Won’t you just let me be? On June 25, 2009 Michael Jackson’s life was taken. The world lost an exceptional artist and one of its brightest lights. More importantly, three young children lost their only parent. Conrad Murray’s so-called “friendship” with Michael Jackson was based solely on his love of money and Michael Jackson’s desperation to sleep –nothing more. The man who massaged Mr. Jackson’s “non-pedicured, calloused feet” now embellishes the relationship, not that he sucessfully fools anyone but his delusional self. It didn't matter if Mr. Jackson needed Murray to bark like a dog, for $150K, he would have –and he did– anything! After the painful trial, a guilty verdict was heard around the world – a small measure of justice but justice nonetheless. We all felt a brief sense of vindication, knowing that the man responsible for Michael Jackson’s death was finally being held accountable. Only hours later, we learnt that MSNBC will give platform to a convicted felon’s scripted reality show where he will maintain that he is just an innocent victim of circumstances and that it was everybody and their mama’s fault but his – a claim 12 jurors didn’t buy. “We wouldn’t be here if Michael Jackson was not the patient” bemoaned Ed Chernoff. Well, would Conrad Murray leave two medical practices to treat one patient if that patient wasn’t Michael Jackson? "It is only because Michael Jackson is such a visible personality that this case has garnered media attention" grumbled Ed Chernoff. Would networks line up to reward a convicted killer if his victim didn't have such a visible personality? so-called-concern for Michael Jackson's stature came in very handy when profiteering from his death. The very man who opted not tell his side of the story when a family and the jury turned to him for answers, pre-meditatively arranged a deal in which now, he will tell us “what really happened.” And Conrad Murray is the beacon of "troot". Ask his wife! Ed Chernoff. In hindsight, their affectations in court make so much sense. They were acting for their blockbuster “reality show”. It makes me wonder if the tears were real. giving the People benefit of a cross examination. Based on the evidence, the People presented its case. The defense, bless their heart, did resort to every avenue to pull a rabbit of their hats. Judge Pastor asked Murray, time after time, if he wanted to tell his story. 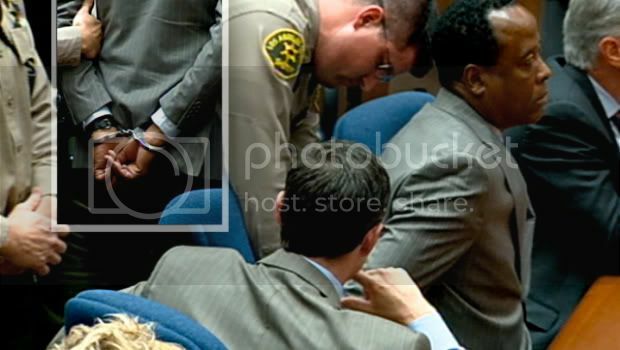 Little did we know, Conrad Murray DID testify that night to a glaring camera!!! Ultimately, 12 jurors decided that “what really happened” to Michael Jackson was Conrad Murray –with his unique blend of unethical acts & extreme incompetence. judge Michael Pastor's face, who went above and beyond to afford Murray a fair Trial. He cunningly masterminded a loophole to skirt around the judge’s gag order in order to disseminate his lies without being challenged by the People. His "Today" Show interview was done on Oct 30, 2011 -during the Trial- despite of judge Pastor's gag order! His now blaring conniving ways shines a bright light to when he tried to clean up crime scene when his patient laid there dying!!! This documentary doesn't show "what really happened"; it shows who Conrad Murray REALLY is: a conniving con artist! 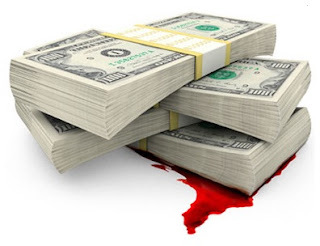 The very jury who had to make personal sacrifices to sort out his mess was ordered NOT to profit for 90 days but the man who is convicted of killing a human being plotted 2 years ago that he would profit from his crime immediately after the Trial –no matter the verdict! 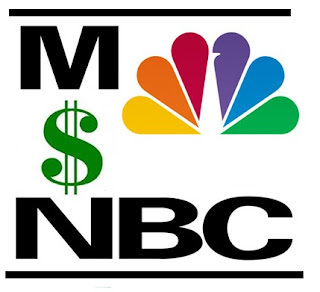 it diminishes NBC Universal, its shareholders, sponsors and viewers –it diminishes all of us. The verdict wasn't even a week old and the sentencing is yet to be finalized but a coven of greedy networks and CONrad Murray thought that the timing couldn’t have been better. We are boycotting NBC Universal, MSNBC, Nine Network, Channel 4 & Zodiak Rights and we will mount a protest to ANY media outlet that broadcasts Murray's sideshow! in exchange for money. Rather than walking away from an indecent proposal, you decided to reward crime. His decision killed a human being, your decision kills ethical journalism. A deceased fellow human being –Michael Jackson – deserves better. Paris, Prince and Blanket deserves better. We, the viewers, deserve better than this proposed obscenity. It is completely unacceptable and an affront to justice to reward a convicted felon. When Does He Get to Rest?